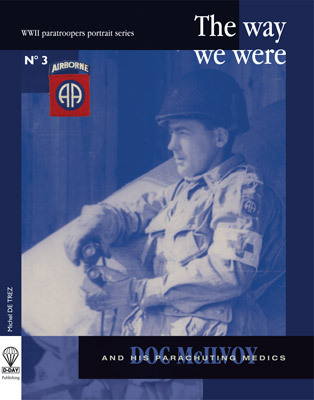 “Doc McIlvoy” is the third volume in Michel DeTrez’s WWII paratrooper portrait series titled ‘The Way We Were’. 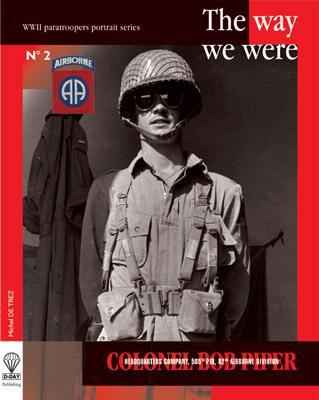 Major Dan McIlvoy was a medical officer in the 82nd Airborne Division’s famed 505th PIR. 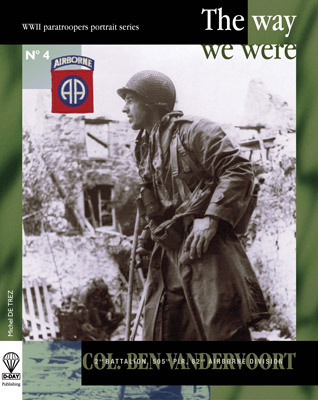 As a proud member of this unit from its first day of existence, he was only apart from it for two days, while being MIA in Normandy. 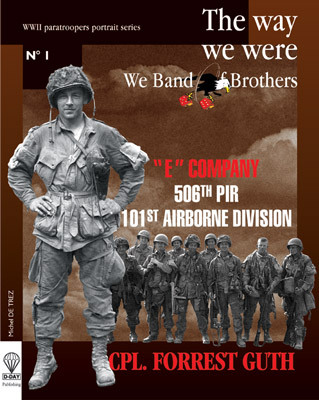 The saga of the 505th Medical Detachment is retold through Doc McIlvoy’s own story. As a battalion surgeon, and later as a regimental surgeon, Doc McIlvoy instituted many new methods of caring for, and evacuating, the unit’s many casualties. Many of these innovations were later adopted as standard operating procedure by the US Army Medical Corps. Throughout his history of service, Doc McIlvoy supervised the treatment of hundreds of combat casualties. Through his great initiative, surgical skill and devotion to duty, he was able to save the limbs and lives of a great number of his wounded comrades. This book is also available in a deluxe hard-covered, numbered, limited edition, which is signed by both Mrs McIlvoy and the author. Only 82 copies have been printed in this format. D-Day Publishing © 2016 | Création Zephyr Web | D-Day Experience | Mentions légales | Politique de confidentialité | C.G.V.